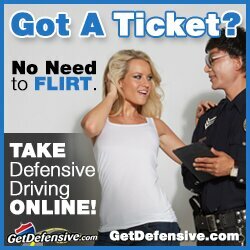 Get 20% off driver's ed! The Texas DPS Made Easy! What can we help you with today? Our mission is to help drivers all across Texas by providing them with simplified DPS information and answers to commonly asked questions, links to important forms, and great deals on permit and license courses offered by our partners. By empowering Texas drivers with this information, we hope to make your visit to the DPS a little less stressful! Browse Texas DPS locations, by county and major city, and get the hours of operation and contact information. DPS Texas is a privately owned website that was created to simplify the various Texas DPS application processes for new and already licensed Texas drivers. Our goal at DPS Texas is to take the head-scratching out of stuff like how to apply for a Drivers License in Texas, renew an existing drivers license, schedule a driving test, locate DPS forms, and find nearby DPS Texas locations. In addition to having the most current and accurate DPS information, we present this information in an easy-to-understand and practical way that doesn’t require hours of research. We strive to answer commonly asked questions about Online Driver Safety Courses and come up with new, innovative ways to deliver the most useful DPS Texas resources and information to our visitors. So save yourself the time and headache of calling the DPS or standing in line, browse our website and let us make your life easier!